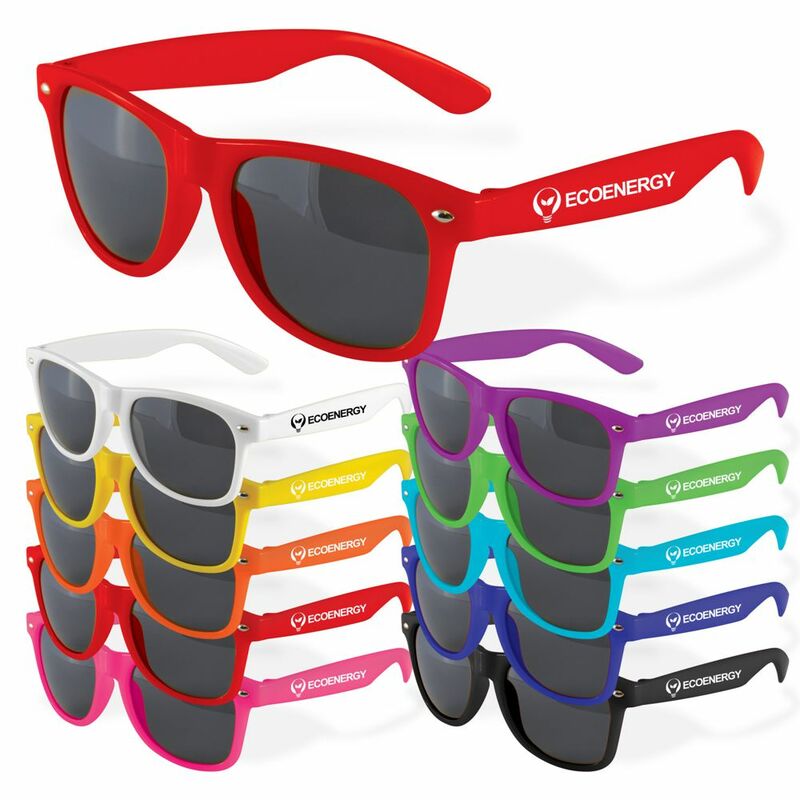 Classic style sunglasses with tinted lenses rated to UV400 providing UVA and UVB protection. Strong polycarbonate frames and lenses are durable and offerall day comfort. Available in a great range of corporate colours - mix and match for your next event. Comply with Australian standards AS/NZS1067:2016 parts. One colour x1 arm pricing.